After decades of being treated like an illegal drug, industrial hemp was removed from the Controlled Substances Act (CSA) on December 20, 2018. Seven little words at the end of the 2018 Farm Bill “The term ‘marijuana’ does not include hemp”—amount to the most significant change to American drug policy since the CSA was enacted in 1971. For the first time, Congress has acknowledged that not all varieties of the plant cannabis sativa L. are intoxicating. Instead, the law now says, cannabis varieties with trace amounts of THC—no more than 0.3%—should be treated like any other crop. This change unleashes enormous business opportunities. Hemp can be grown legally anywhere and sold anywhere in the United States. Interstate commerce is guaranteed. Entrepreneurs working with the plant will see banking and regulatory barriers fall away, just as new opportunities for crop insurance and loan acquisition become available. But are riches guaranteed for the newly legal hemp industry? Absolutely not. Big questions remain about how federal agencies will regulate hemp’s commercial applications. Removes the plant cannabis sativa L. from the Controlled Substances Act if it or a plant contains no more than 0.3% THC on a dry-weight basis. This applies to any and all parts of the plant. Leaves marijuana a Schedule 1 drug. THC testing procedures, including inspections done at least annually. Bookkeeping procedures to keep track of land approved for hemp cultivation. Plans for “effective disposal” of hemp plants with too much THC. Gives the USDA the ability to approve or reject those cultivation regulations within 60 days. Gives the USDA one year to study the 42 existing hemp states’ progress with the plant and “determine the economic viability of the domestic production and sale of industrial hemp,” with the findings due to Congress. Bans hemp cultivation by people with drug felonies in the past 10 years. Give states any guidelines about regulating hemp manufacturing or processing. Guarantee interstate commerce for products containing CBD, not just the molecule itself. Limit the U.S. Food and Drug Administration (FDA)’s authority to ban CBD from foods, drugs and cosmetics, which the agency has done. Explain whether the clause guaranteeing interstate commerce for “hemp products” affects the FDA’s ability to limit CBD use in foods, drugs and cosmetics. Is this a first step to full, nationwide marijuana legalization? Could the 2018 Farm Bill portend the end of marijuana prohibition? Absolutely. Marijuana and hemp are the same plant, cannabis sativa L.
Marijuana and hemp have different cannabinoid levels at different stages of life, so the same plant could be legal one day but illegal the next. The plant’s versatility—a food source, fuel source and pharmacological agent all in one— has long bedeviled regulators wondering how to treat cannabis. Hemp’s new legality gives those government officials a nonthreatening version to try regulating this complicated plant, while giving cannabis pioneers room to err without facing prison time. Cannabis critics have warned for decades that legalization would empower criminals. However, the 2018 Farm Bill will attract established consumer brands to the cannabis sector, dispelling myths that only criminals would touch the plant. Mainstream news coverage of hemp will increase. 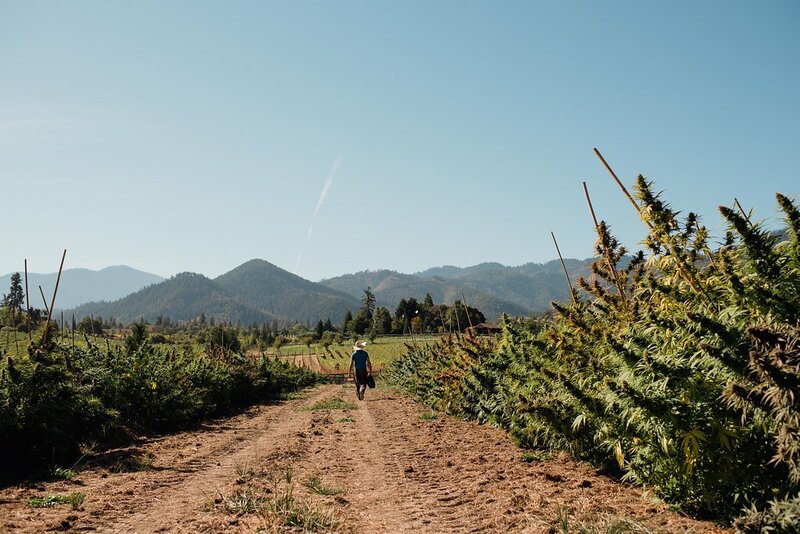 Every newspaper article and TV segment about the hemp industry gives cannabis skeptics a face that doesn’t match old, (or maybe) outdated, stoner stereotypes, and the coverage could help change minds about how a fully legal marijuana industry might work. Hemp sales will certainly rise because of the 2018 Farm Bill. That bigger market will help gird arguments that marijuana legalization would help the overall economy. Availability breeds familiarity. Familiarity breeds acceptance.